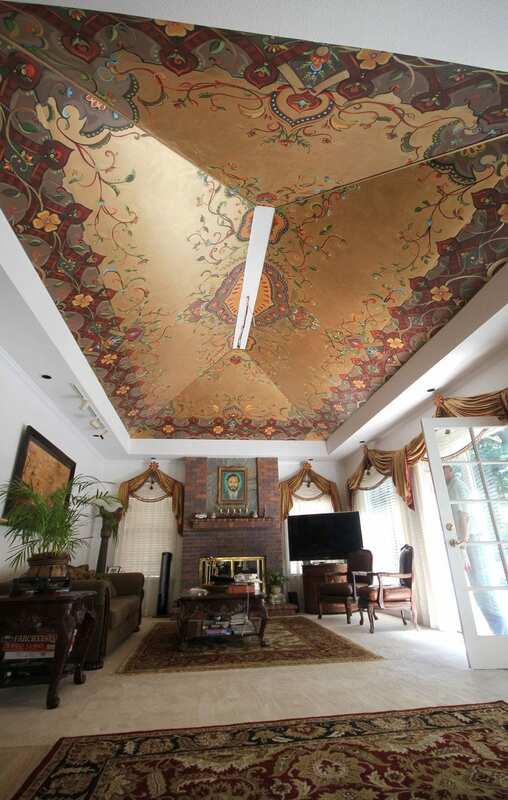 This ornate ceiling was painted first on panels in my studio, and then installed at the client’s house. 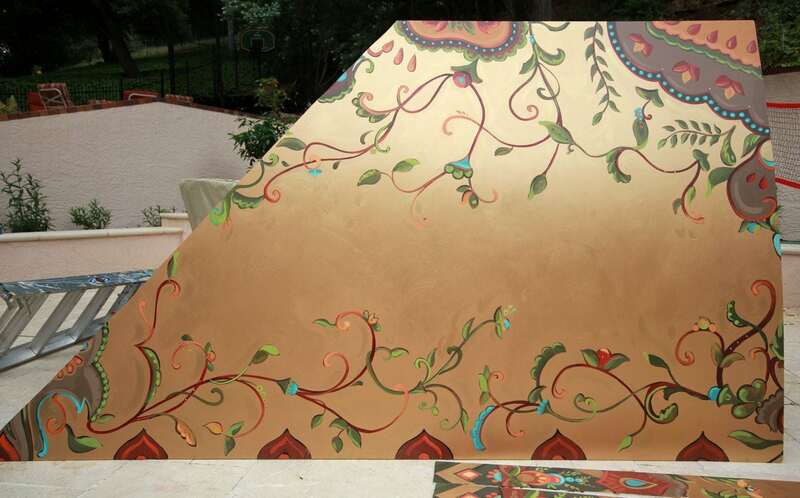 The base is gold leaf, and the details are accented with Swarovski crystals. 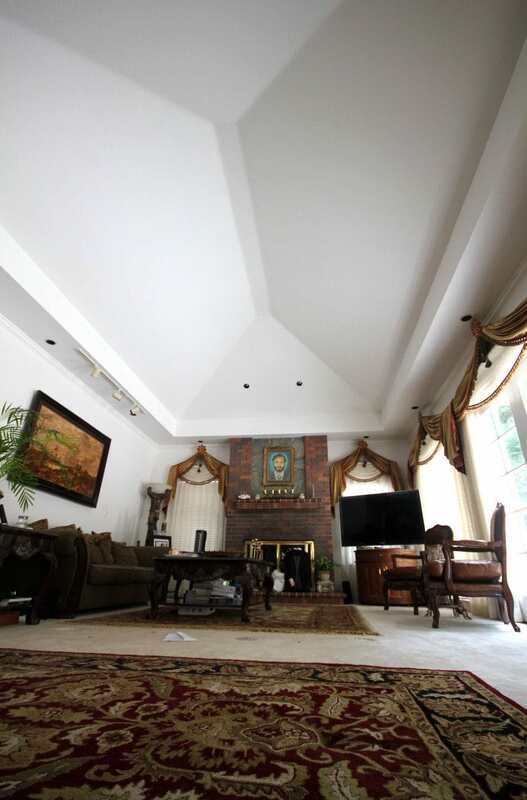 The result is an opulent ceiling that sets a dramatic backdrop for their elegant great room. 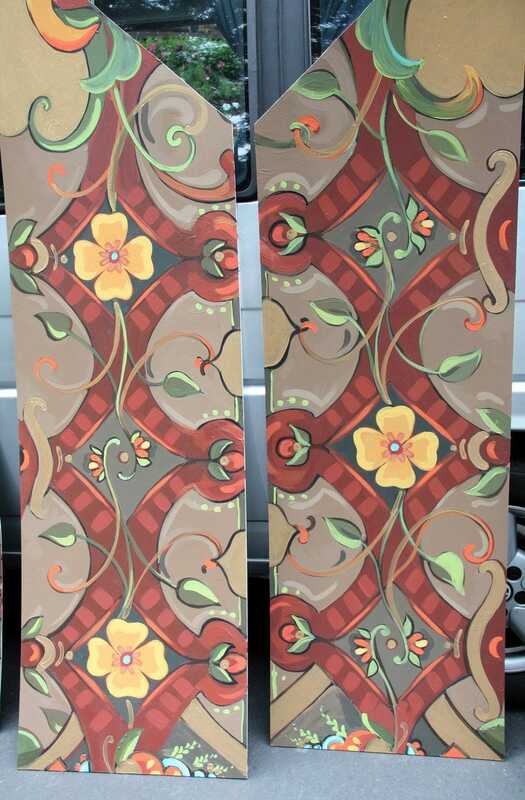 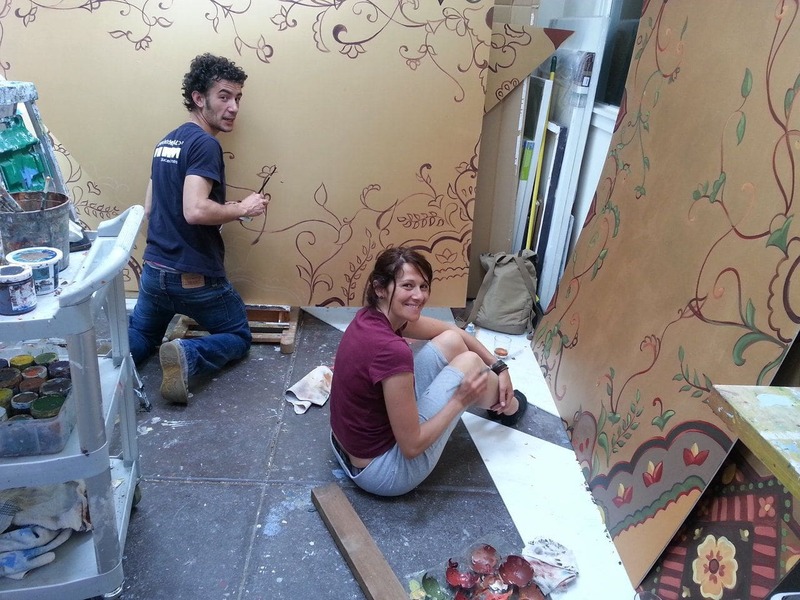 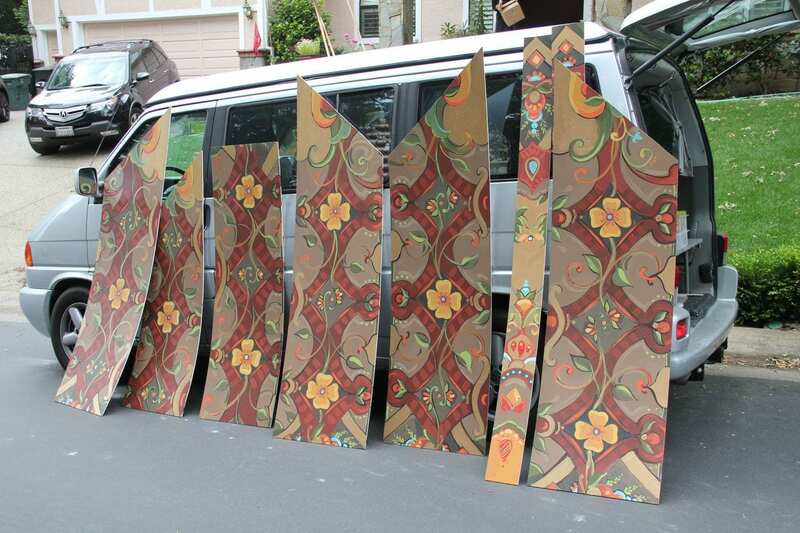 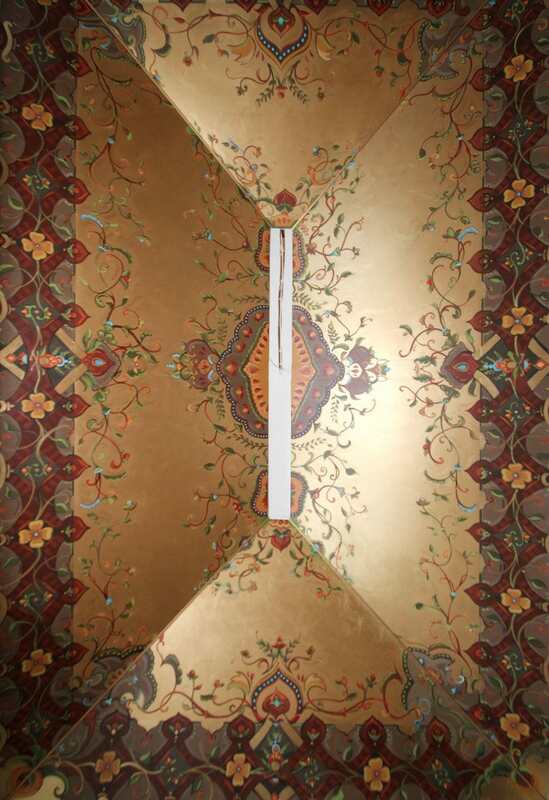 For more information about this mural project, read my blog post Gold and Bejeweled Ceiling.